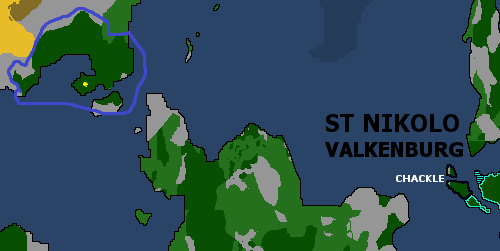 My expansion claim. It will be called the colony of Stornway and its capital is Stornway. Could I get a "name change"? Awww, we would be two peas in a pod! That looks to me like the original map. I don't see any real changes. Never-mind, from the looks of it you just forgot to update my name coupled with the lack of map claims this past month I overlooked Valendia's territory installment. Also, the image is very large. If you want me too I can re-size it but it needs to be smaller to adequately fit the post. I don't know whether you're Lockdownn, Kitt, China.. So apologies! I can't update the map if there's nothing to update. @Apocryphi wrote: I don't know whether you're Lockdownn, Kitt, China.. So apologies! 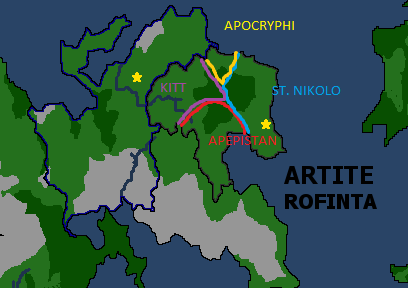 The Yellow (Apocryphi) area plus the purple (Kitt) area goes to Kitt, the blue (St. Nikolo) area goes to Apocryhi, the red (Apepistan) area goes to Apepistan. 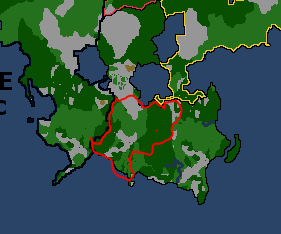 We didn't make a new map because it was only name changes, the borders remain the same. I put all of Chackles expansions into mine. As far as I'm concerned, you cannot "combine" expansions. 1. 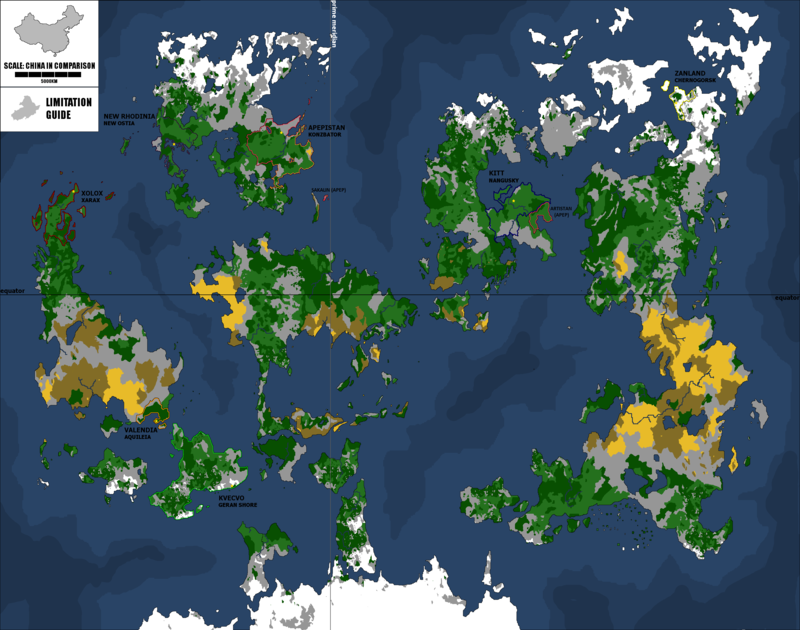 Did some alignment to Apepistan; gave name to overseas areas (Sakalin (Apep) and Artistan (Apep)), so people can see it belongs to me. 2. 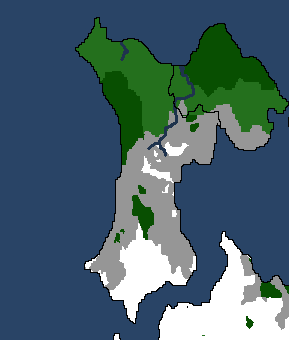 Put New Rhodinia back on the map, as they are still in the region, and exist. 3. Put the claim limitation guide back on the map. @Apepistan wrote: I've made an update. Any of the above territory is game, just keep it under the size limitation please. Claim accepted and modified to limitations! Chackle would like its land to be restored as well with Kvecvo being removed off the map. Thank you. @Chackle wrote: Chackle would like its land to be restored as well with Kvecvo being removed off the map. Thank you. Alright I'll take the northern island to me, and whatever I have left just add to the coast on the island to my east. I will move Hassany to the island where Kvecvo was, then, and Chackle and Arbonation will be bought back on the map. ASAP. @Apepistan wrote: I will move Hassany to the island where Kvecvo was, then, and Chackle and Arbonation will be bought back on the map. ASAP. Finally made it to the Forum! Now i dont want to be moved to what was Kvecvo. 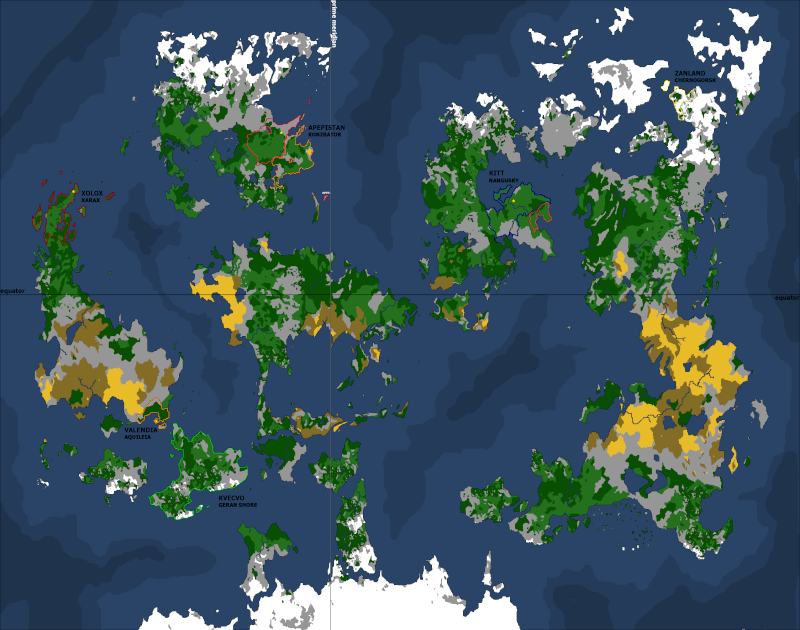 I decided i want to stay on my island of Hassany, i just want for my expansion is the island to the north of Hassany. Thank you everyone and i am sorry for any confusion i caused.